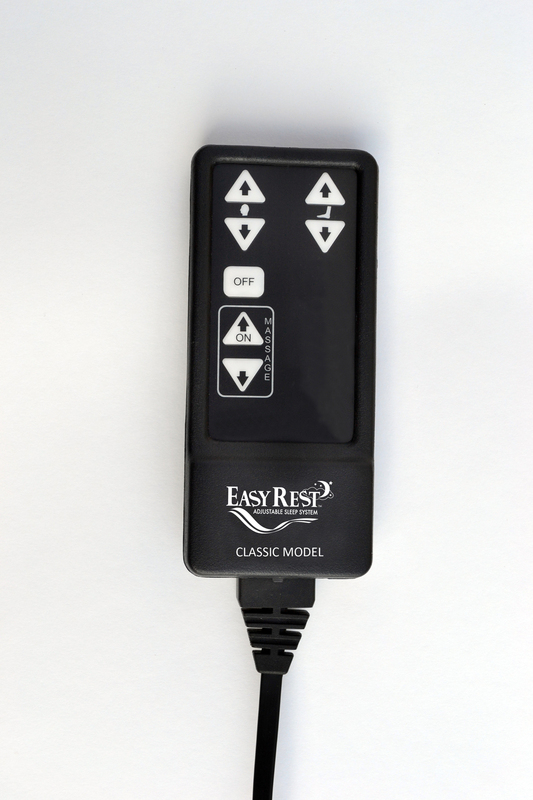 Our base model electric bed, the Classic, offers you the functionality of our more premium models with fewer bells and whistles. Our reliable motors power the bed into infinite positions. 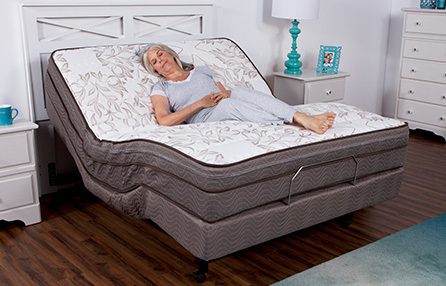 This model comes with our medium-firm adjustable bed mattress. Linak Standard Motors reliably adjust the head and foot of the bed to your desired position. Our motors adjust to a 70 degree upright angle to make watching TV, reading or working on a laptop easy and enjoyable. Therapeutic Massage Motor rovides a relaxing massage. Choose between two massage speeds. Wired Hand Control with simple, easy-to-understand buttons and soft touch keypad. Mattress measures eight inches thick and is constructed with 312 single-sided coil springs made of 13-gauge wire. High-carbon steel frame, recessed for safety. Powder coated to provide rust protection. Motors are completely sealed and self-lubricating, giving you a lifetime of maintenance-free reliability. Adjustable headboard brackets are reinforced for stability and adjust to fit any head and footboards. Variable height adjustments with optional leg extensions. Sturdy casters for easy movement of the bed around the room. Casters lock in place to prevent rolling.